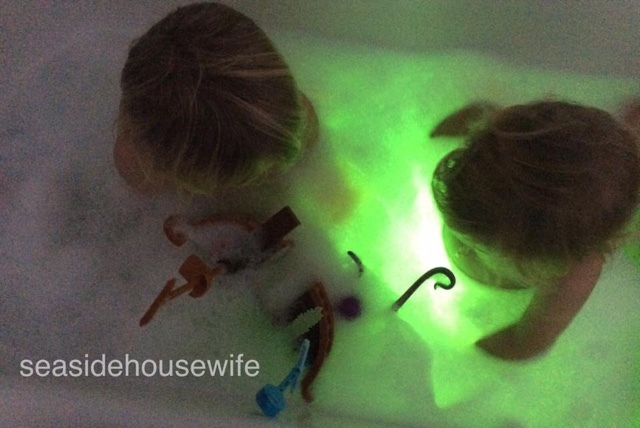 My mini people love glow sticks, we take them camping with us. They are brilliant stockings fillers at Christmas and they are so much fun in the bath!! 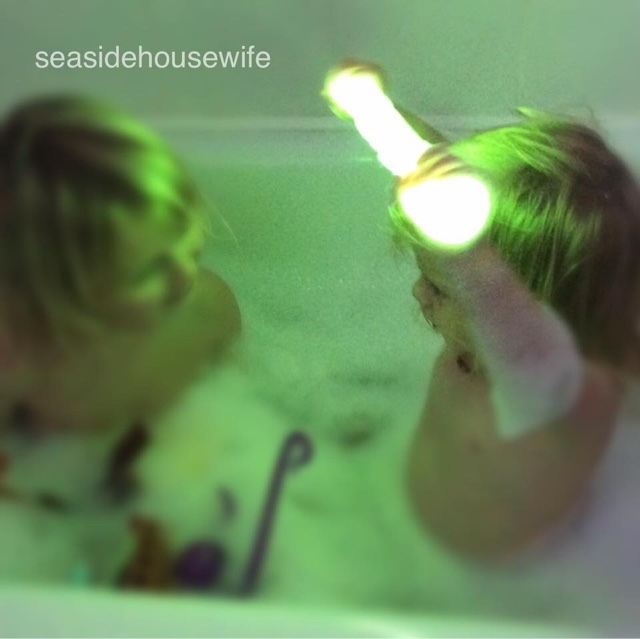 Make bath time lots of fun by turning down the lights and popping some glow sticks in the bath! Brilliant for 6+ months onwards, our 6 year old still loves them. (Make sure you keep a close eye as if they brake, they do have nasty chemicals in side them.) Then after the bath they take one each to light their way to bed!